Never has so much pressure fallen on the shoulders of finance to be timely and credible with the reporting of financial results. 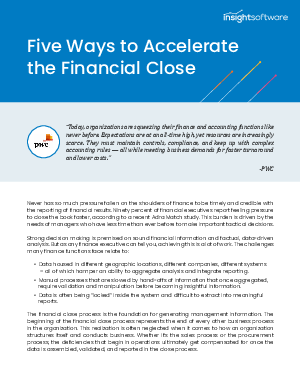 Ninety percent of financial executives report feeling pressured to close the books faster, according to a recent Adra Match study. This burden is driven by the needs of managers who have less time than ever before to make important tactical decisions.